Having defeated the rampaging robots in The Junkyard Bot, George is thrilled to score his dream internship at Tinker Tech. But he and his best pal, Jackbot, realize that something does not compute when a dangerous new invention threatens Terabyte Heights. 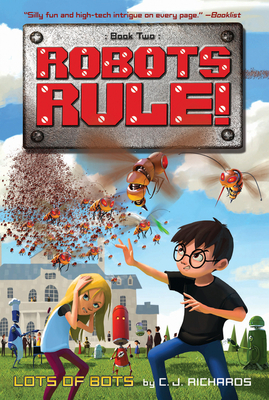 Robots, engineering, and buddy stories have never been this cool, or this much fun. Perfect for restless readers who crave gizmos, gadgets, and mystery by the megabyte!